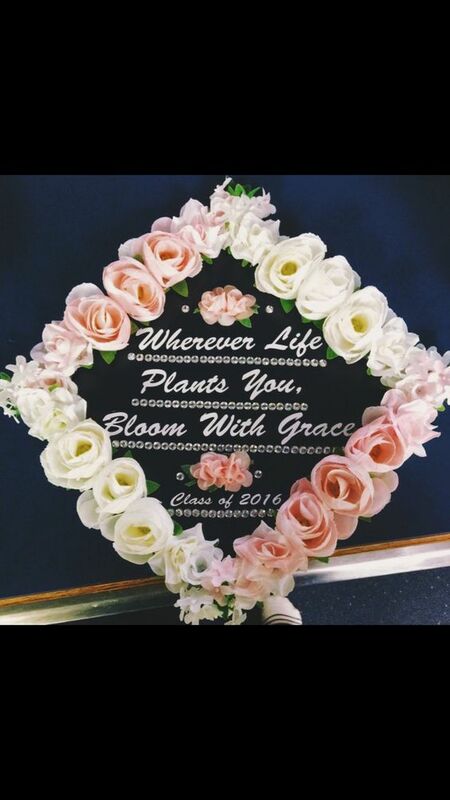 Beautiful Flower Graduation Cap Decorations to Inspire You! 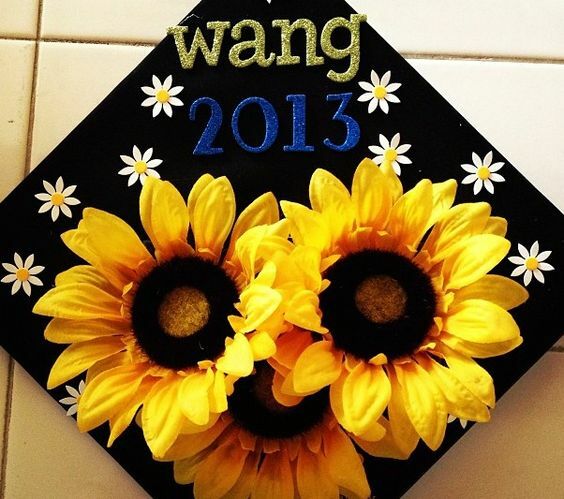 Flower graduation cap decorations can be awe-inspiring. 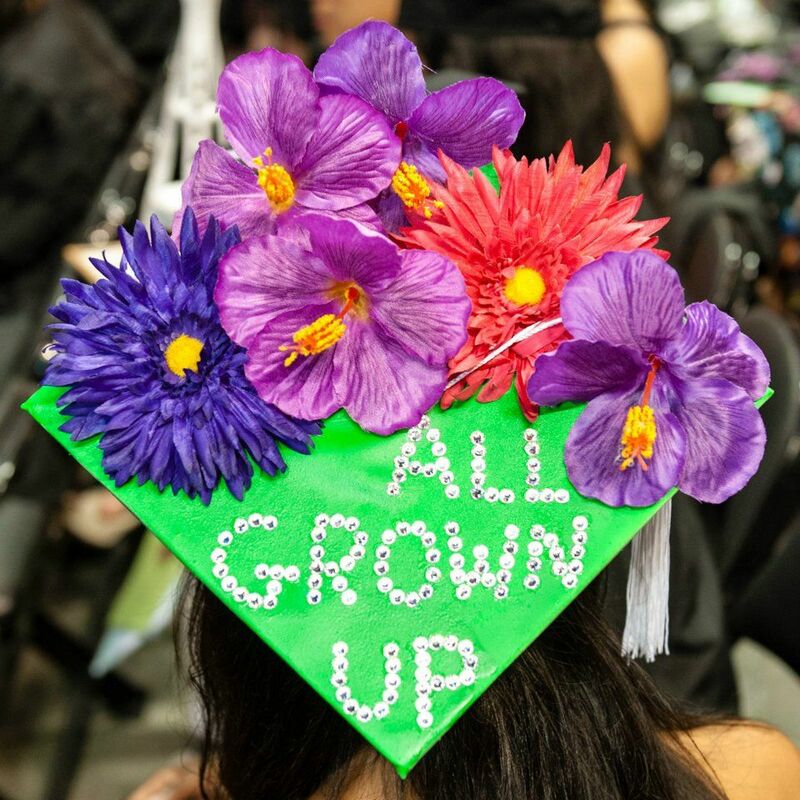 With so many flowers to choose from, you can stand out on graduation day. 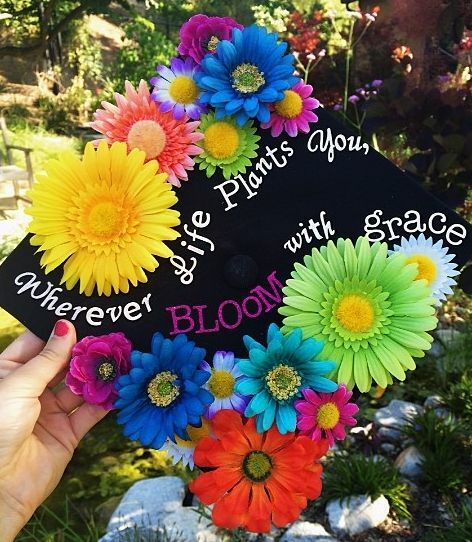 Flowers make a lot of sense on important days, so go ahead and put some on your graduation cap! Flower arrangements are present whenever you have an important event. Your wedding day will have flowers. On Valentine’s day you will get flowers. 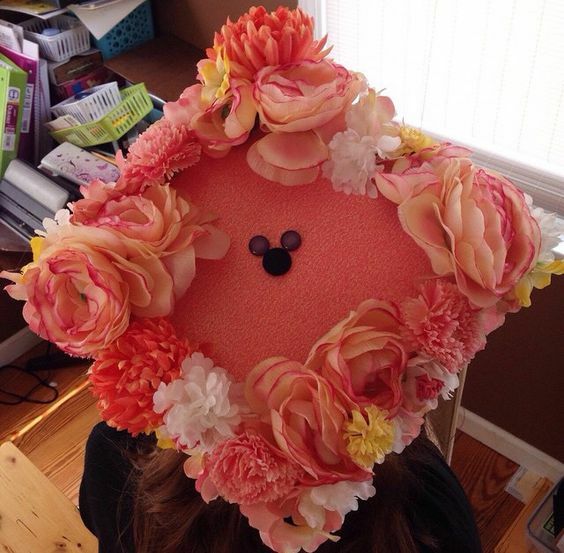 The trick is to use flowers to make your graduation cap pop in color, but not to overdo it. 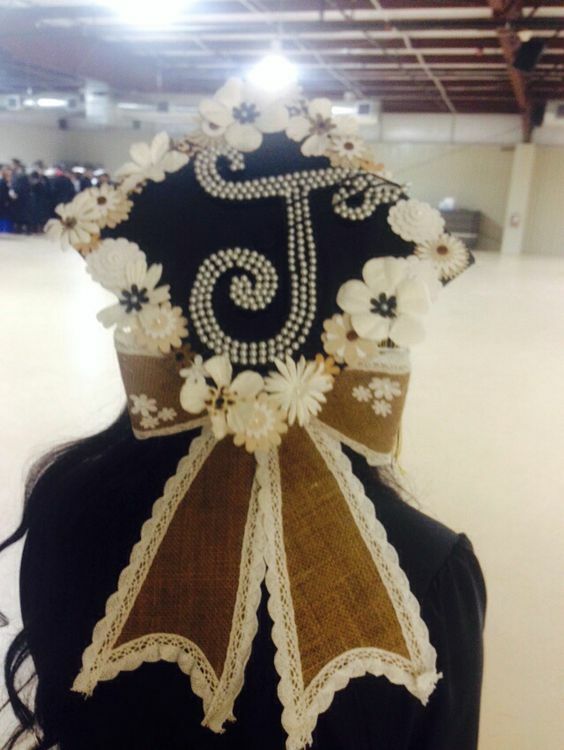 With the right trim and background, your cap will be the nicest one on graduation day! 1: Rose tone and a little mickey mouse in the middle! The backboard is pink too, for a perfect look. 2: Sunflowers stand out in a crowd, with little daisies to back them up! 3: A white floral arrangement contrasts well on a black base. Finish off with a ribbon! 4: You don’t need a lot of flowers to make a splash! Color coordination is important, with pink and white looking classy together. 5: Leave a little room for lettering! You can have a whole bouquet with a quote, the sky’s the limit! 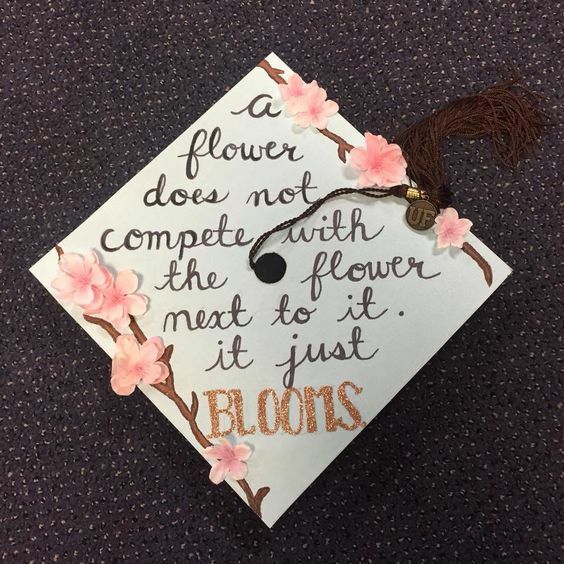 6: If you have allergies, you don’t need real flowers on your graduation cap! 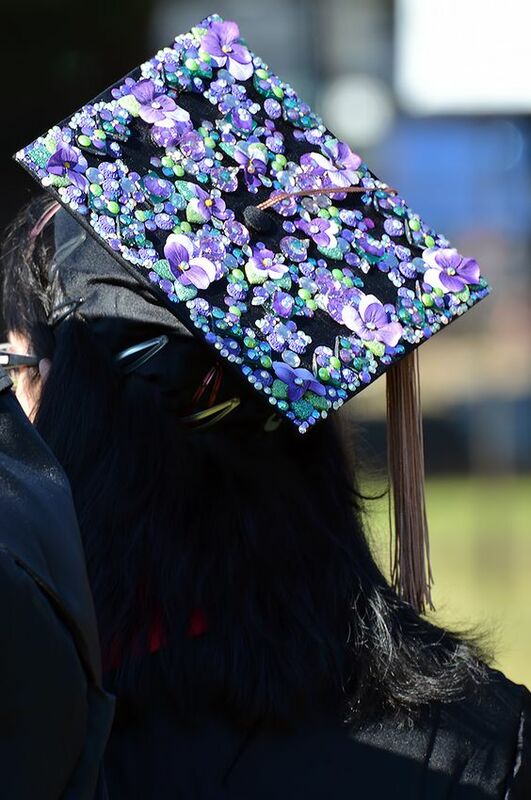 Stick-on flowers will do. 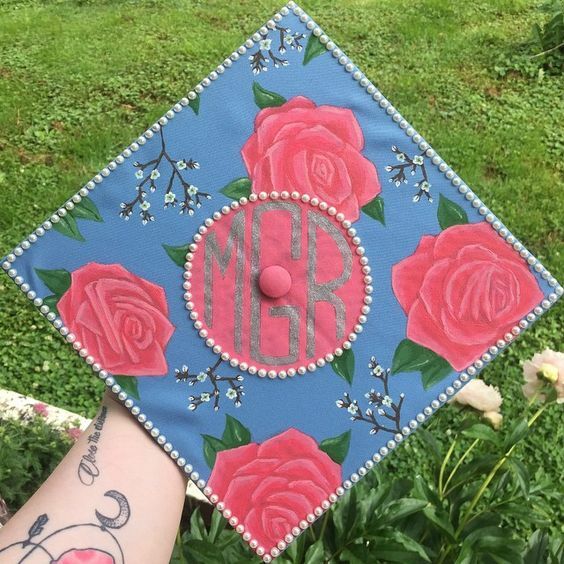 7: An expertly-crafted floral print graduation cap with initials right in the middle. 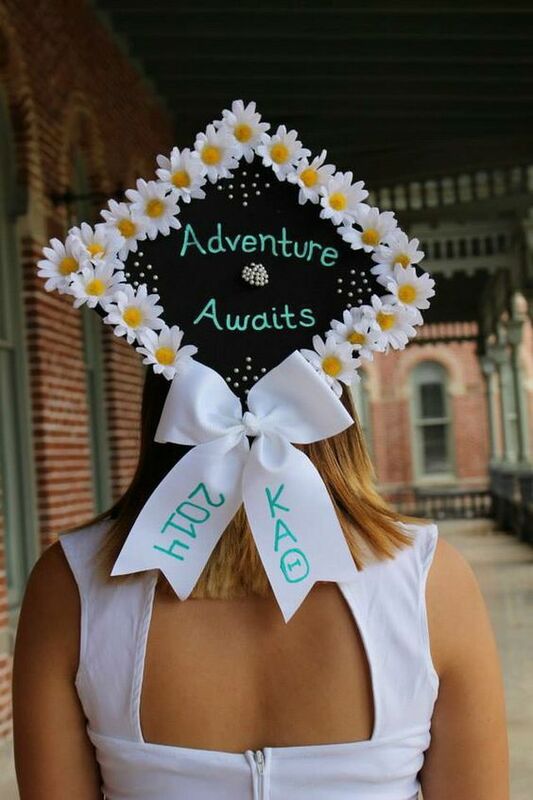 8: An outline of daisies with a bow can finish your graduation cap off in style! 9: Roses are the noblest flower! This arrangement is elegant and neat. Even the quote looks great and makes sense here. 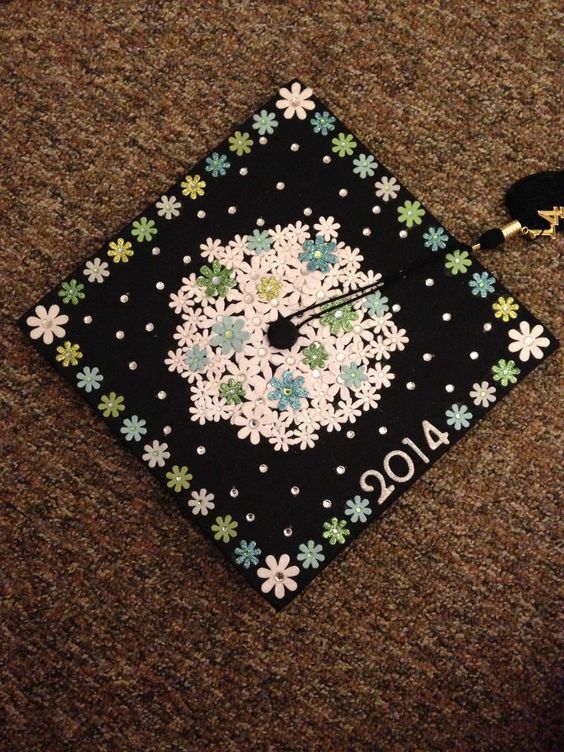 10: The color spectrum is fully covered in this gorgeous graduation cap ensemble. 11: Plastic flowers can go a long way! This cap follows the color purple and blue, to look stunning and unique.